Being techsavvy people, we all know that Apple Pay was released with iOs 8.1 serving as a game changer for near field communication payments. Previously smart phone users used to pay using Google Wallet and PayPal. However, these two payment options were found difficult to use by some users. 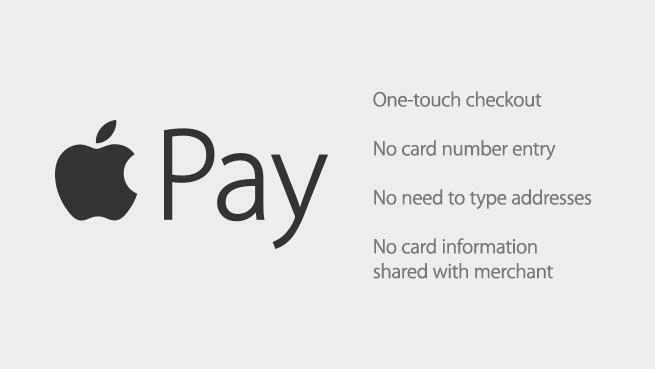 Why Apple Pay is highly recommended? Security: While making online payments the most important thing that people usually think of is how secure the mode of payment is? And that all their account details are secured or not. Customer security is always a priority and that’s the reason Apple Pay is most preferable because it takes this thing as an important one and is highly secure as compared to PayPal and Google Wallet. Making payment is very easy as only consumer’s bank can see the transactions and purchases are easily confirmed with fingerprints. This means the safety of wallet is ensured even if your phone is lost. The more safety a consumer has, the more likely they are to trust on your app. App Loyalty: Loyal customers are available to those who provide up to the mark customer service. Any company having poor customer service will get easily dropped by its users. Consumers’ today need 24/7 support. They want immediate support whenever they need.Apple Pay quickens this process and so customers don’t have to worry when adding a credit card number and a simple smooth process will attract more customers to opt for the service. Avoid using Outside services: Generally an iOs app depends on mainly six cloud services including face book logins, Amazon web services and Flurry for analytics. An App’s success highly depends on the interconnectivity of these services.With Apple Pay, service calls are reduced to an extent thus providing a very simple service from the technical point of view. It reduces the constant worry of updating an app thus increasing sales of the product as well as making it easy to use. New Customers: Mobile Payments are now the most preferred options among customers and they are excited to pay via mobile if certain loyalty rewards are given to them. In order to get new customers, provide them certain discount if they pay via Apple Pay. A small gift can attract them to use this service and if the transaction is very easy and smooth it can be one of the preferred options by the customers.It is definitely sure that Apple Pay is one of the most recommended options by App users as it provides more security, is easy to use and so would be preferred by everyone. For small businesses, Apple Pay is a boon. Stay in touch with Platinum SEO Services, a well known Mobile Apps Development company in Melbourne to know about the details of Apple Pay and its updates.